If you watch youtube videos as much as I do, you've probably run into the company NuMe in some way or another. They have recently become incredibly well known for having one of the highest quality heat products for hair, including the interchangeable curling wands and of course, their straighteners. While doing immense research on the company, I found out that most of the people reviewing the products were sent the items for free and regardless of how much a person says their opinion isn't going to be biased, it usually is. I tried finding some people that have purchased the straighteners and wrote reviews but it seems as though the wands are the main hype of this company. I've been in the market for a straightener for awhile because I've been using an extremely inexpensive one to get me by until I had the money to invest in a decent one. I know growing up CHI and GHD had been amazing but I really wanted to give NuMe a shot, and at their steep price range, it was a pricey one at that. Luckily, there are always coupon codes available so if you are considering purchasing anything from them, please look out for one. 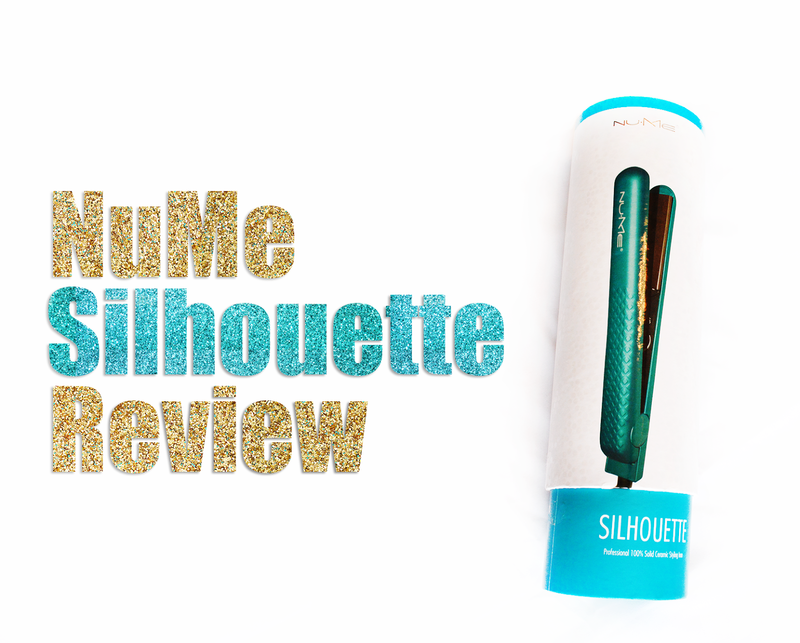 I have had this straightener for quite a few months now so I am able to give you the most honest review possible, so I hope this helps! Initially when straightening my hair with this, I was really upset at how horrible it was. My hair was being ripped and pulled and I was slightly furious that I spent my money on this horrible product. As I continued to use it, I found a way to use it that didn't pull as much. Even today, I still feel some hairs being ripped if I take it with too much of a heavy hand so I'm not too happy with that. 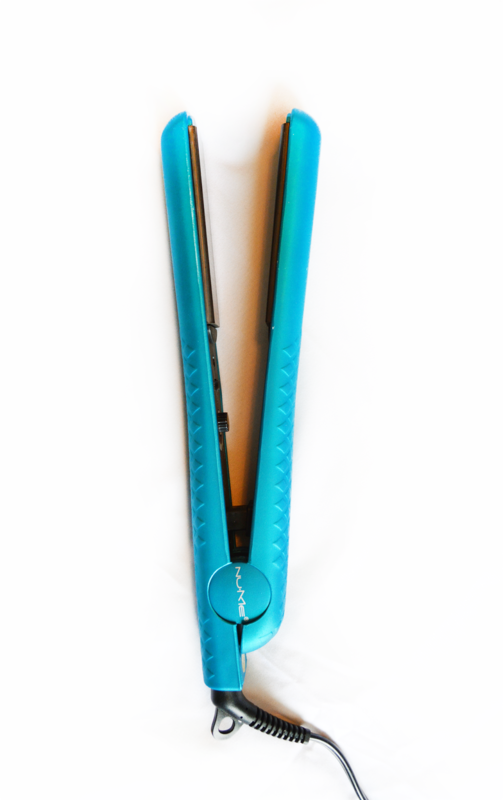 A positive aspect about this straightener is it's open rounded edges which means it has the ability to wave and curl the hair when it is wrapped through the iron. Although my hair does pull quite a bit doing this, the curls are beautiful. The heat setting on this product goes pretty high as well at 410 degrees Fahrenheit, which for most of us, we don't really need. Another positive about the straightener is its rubberized exterior with diamond embedded grips. This really does help quite a bit, especially for those of you who get clammy hands holding heat for a long period of time (which happens to all of us, lets be real). Its swivel cord also helps a ton when you are at a very awkward angle! This product is also available in Magenta, Purple, Blue and Black. My overall score of this product is probably a 6/10. Ladies, for this price, stick to your good old CHI or invest in a smooth GHD.